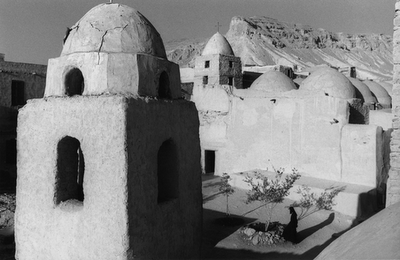 In Upper Egypt, near Akhmim, there was a hermitage where Palomen was spiritual leader. Under him, St Pachom, one of the great pillars of the Coptic Church (f.AD 290-346), received initiation. St Pachom saw the advantages of linking together the different communities and founding monasteries. He introduced the ‘cenobitic’ way of life (derived from the Greek ‘common’ and ‘life’). He was so highly regarded that by the time he died, some thirty years after receiving initiation, there were more than eleven Pachomian monasteries in Upper Egypt, including two for women. 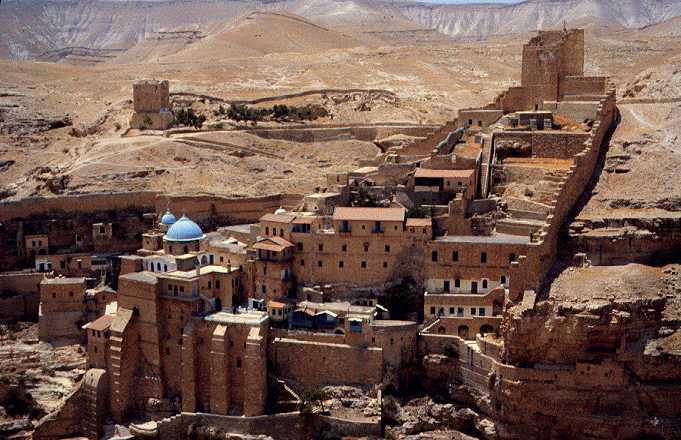 Cenobitic life, which greatly influenced the monastic movement throughout the Mediterranean world, was a combination of asceticism with communal living. Daily activity was organised by vigorously enforced rules regarding clothing, food, work, hours of worship and sleep. Land was brought back to productivity and social and economic life was re-established. Pachom’s contribution to Christianity is recognised by the Vatican, where his birthday is commemorated. Christianity became a protected religion in the time of Constantine the Great and it was officially recognised as the faith of the Roman Empire, and hence of Egypt, in the reign of Theodosius (AD 379-395). 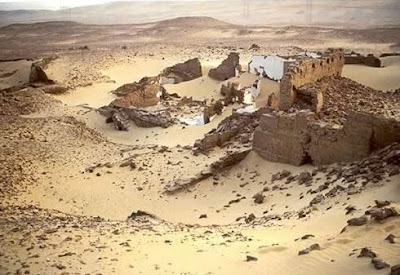 The National Church of Egypt, however, was only established in AD 451 when, at the Council of Chalcedon, Egypt separated from the Eastern church. This was due to the controversy, which had developed over a century before, on interpretations of doctrine, especially on the nature of Christ. Thenceforth the Copts recognised their own Pope and Patriarch at Alexandria, and followed the teachings of St Mark. The Coptic calendar begins its era on 29 August, AD 284, the ‘Era of the Martyrs’, commemorating those who died for their faith in the reign of Diocletian. The name Copt is a corruption of the Greek Aigjrptos, which is derived from the ancient Egyptian name for Memphis: ‘Hikaptah’ or ‘House of the Spirit ofPtali’. The Coptic language is the Egyptian vernacular written in the Greek alphabet with the addition of seven extra characters derived from demotic, the last stage of hieroglyphics; it continued to be used until the 13th century, when it was eclipsed by Arabic. It has, however, survived in the Church liturgy and in some vernacular Arabic names, especially in the names of the Coptic months and their divisions into ‘tens’ of days, which are derived from the names of ancient Egyptian gods. For example, the month of Tut is derived from Thoth, and I I at Hr from Hathor.